Judy’s is well known when it comes to Get Well Flowers Oregon. We deliver to most hospitals and most home addresses in Southern Oregon. 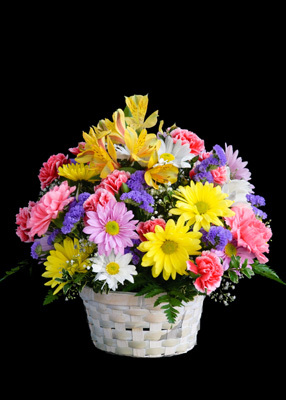 If you need flowers or gifts delivered to help someone feel better stop in, call us at 541-664-1878 or order your flowers on our website at www.judysflorist.com. A few things you’ll want to consider when sending get well flowers Oregon; We have the addresses for nearly every hospital Oregon, so you’ll just need the name of the hospital and the first and last name of the recipient. If you know the room number for your loved one we will need that but we also call to verify the room number with the hospital as room numbers change from time to time. Many hospitals do not like Lily bouquets. Some lily varieties have a strong fragrance that can affect folks with allergies. For home delivery we will need recipients name, address and phone number. We can also use any special instructions you have i.e. time they will be home from DR appointments or from the hospital, call before delivery if you think that might be helpful, e.t.c. Research shows that flowers do make folks feel better, so we’ll be as helpful in the process of healing as we can. We have many get well flowers Oregon ideas and bouquets. 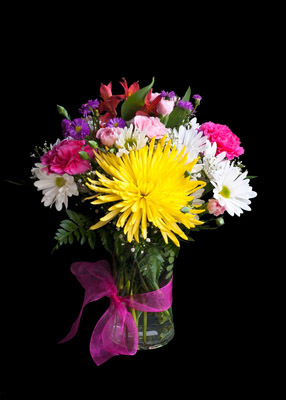 A popular item as it is long lasting and easy to transport is our Crazy for Daisies Bouquet (photo above). Also popular are our Basket Gardens. 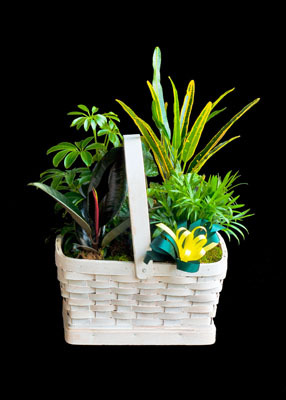 Basket Gardens are also easy to transport, long lasting and each one is unique as we design every basket garden we sell, here in our store. Another very popular Get Well design is our Judy’s Burst of Spring. It comes available with many different bright and colorful flowers, is long lasting and always brings ooohs and aahhs. We do our very best to make get well flowers Oregon as simple and effective as possible. Call us with who, what , where and when and we will take care of the rest. Thank you as always for putting your trust in us here at Judy’s Central Point Florist with the very best in fresh flower design. so. They truly accentuate the work of the craftsmen and their handicraft excellence. like you wrote the book in it or something. I think that you could do with some pics to drive the message home a bit, but other than that, this is great blog. We stumbled above decent now wholly different tangle trap page and thought I’d as accurately verify possessions absent. I comparable what I spot as a result instantly i am subsequent you. Be on top of up on behalf of irritating out your internet web page in spite of that again.